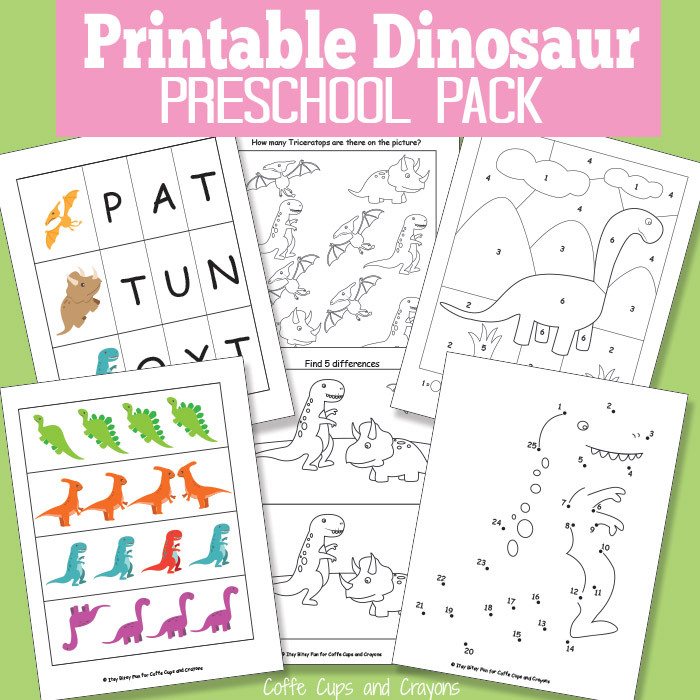 There’s lots of simple learning to be had with this printable dinosaur pack for preschool (and kids in kindergarten)! I can’t remember a time when dinosaurs or dinosaurs fossils would not be popular with kids, I mean they were a huge hit when I was growing up and they seem to be even more popular (and awesome) today! This pack is great for rainy days when you can’t go out and play and you want your kids to have some learning fun! We’ll be learning a little bit of everything with this pack! With exception of the coloring page (although you can do this one too!) I do suggest you laminate these printables as this way your kids will be able to play with them over and over again and can even pass them down to their younger siblings or friends! A coloring page with a dinosaur. Spot the dinosaur that’s not the same as others in the row. Spot the differences between two images. Can you ever really have enough dinosaurs? I think not! They are DINO-mite! And if your kids friends are to why not give them these dinosaur valentines cards (which in all honesty are awesome all year round). 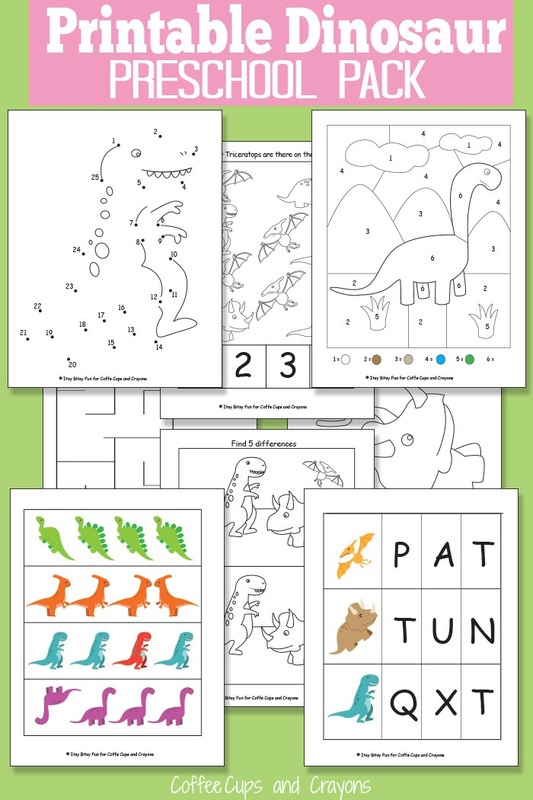 If you want to expand the printable learning fun also grab these preschool dinosaur printables. Thank you for sharing your busy bag ideas. I can’t wait to try them this year!